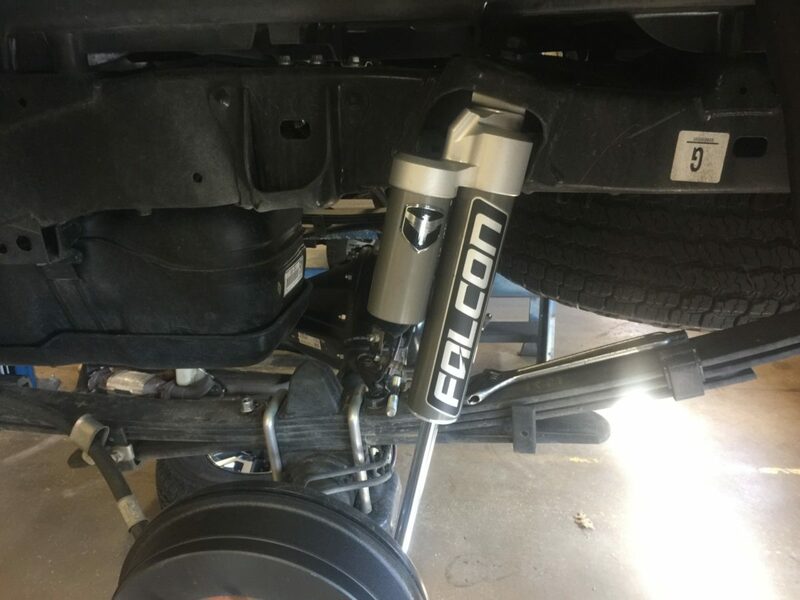 Falcon Shocks are a TeraFlex offshoot creating their own line of high-performance shocks to support their already stellar line of suspension systems. This is their all-new leveling kit for Toyota Tacoma trucks. 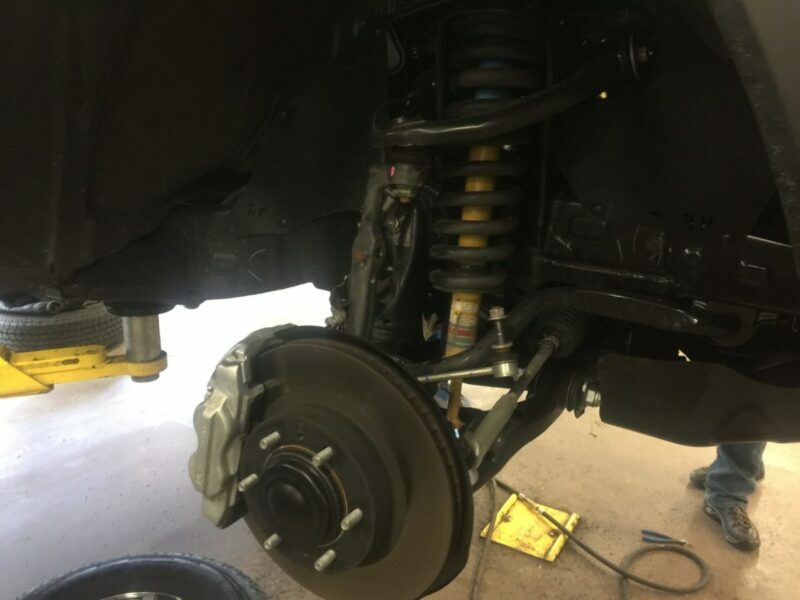 If you have never removed struts from an independent front suspension it’s not as intimidating as it looks. It’s a few more steps than a normal shock but no more time than if you had to change shocks and springs. 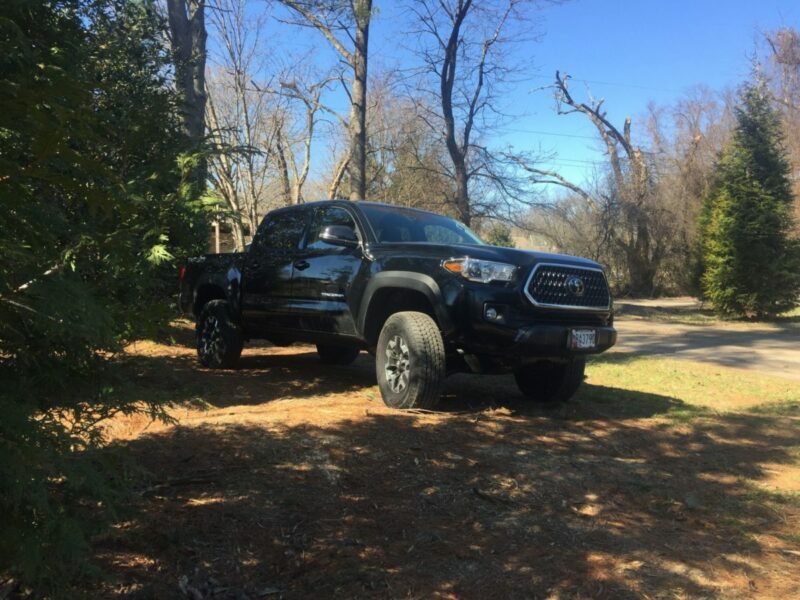 Our particular truck is a 2018 Tacoma Off-Road edition. In order to remove the front strut assembly, you have to get the sway-bar out of the way. Thankfully the mount is easy to drop and slide out of the way. Remove the sway bar link from the spindle, loosen the bolt closest to the bumper, and remove the bolt closest to the wheels. The bar can be slid towards the axles and then slid towards the bumper out of the way. The next steps are done in whatever order you choose really. I will say that getting the factory strut out is much easier than getting the new much larger Falcon shock back in. We had to remove the tie rod to get enough clearance to maneuver. 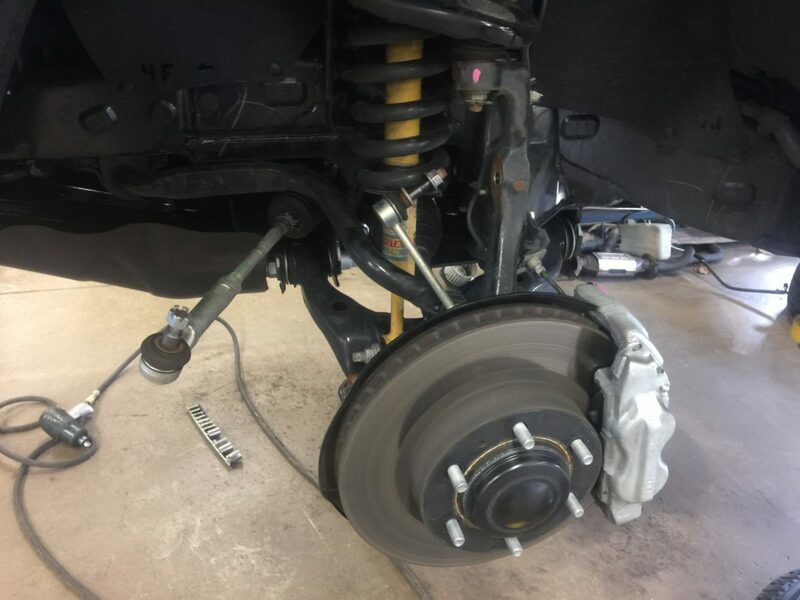 To that end, you need to remove the upper ball joint nut so you can move the upper control up and the lower control arm… well down so you have space to get the strut out. 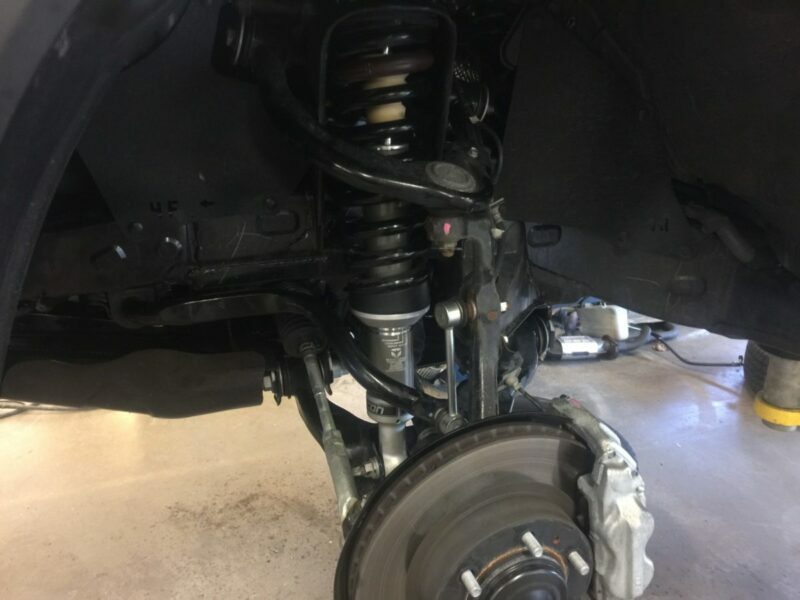 Either before or after you disconnect the upper control arm and remove the three upper strut retaining bolts and lower shock bolt allowing you to remove the strut. It’s pretty easy to remove the factory unit. 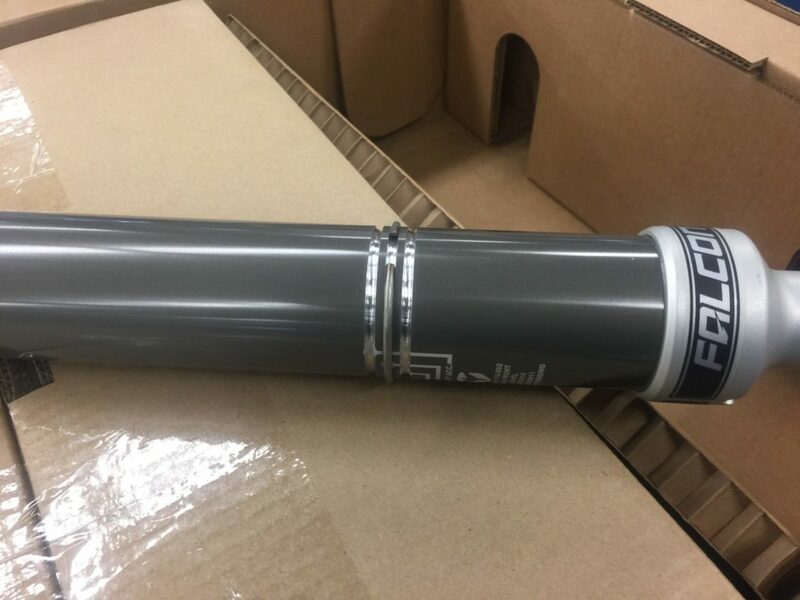 Installing the much larger diameter Falcon shock takes a plan, a partner, and patience. They are so worth the effort. The Falcon Shocks shock body has three separate settings for height. We chose the highest setting designed for maximum lift to accommodate accessories. New lower retainer, new lower spring perch, and new bump stop. While we have compressed and changed many springs it is a process that still makes me uneasy. So much kinetic energy restrained inches from my face while you remove the retaining mechanism reminds you that vehicles are dangerous. The new setup resues the factory spring, bushing, and hardware. 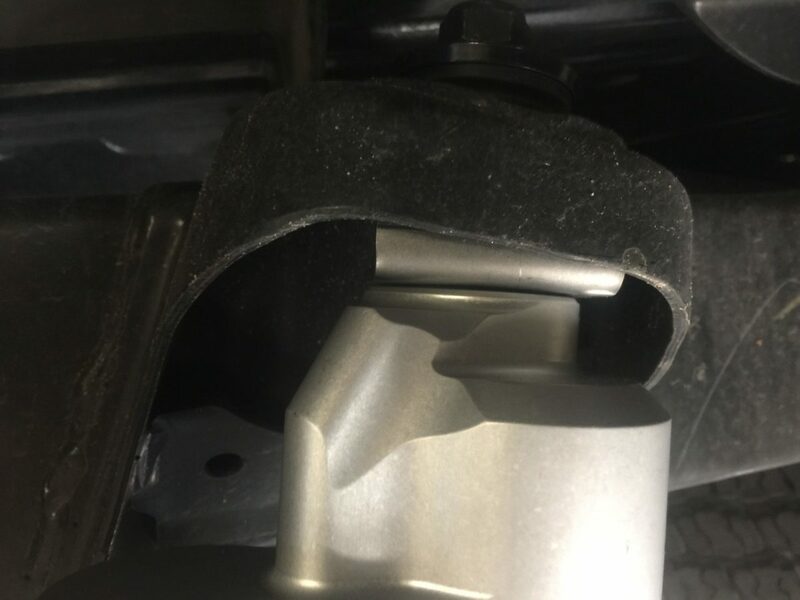 Don’t forget to reinstall the bushing retainers, that way you don’t have to take it all back apart when you realize it’s still on the original shock. Yes, we do make mistakes. Reassembly is the reverse of disassembly. I hate to be so simple about it but honestly, if you took it out you should be able to put it back in. That and the directions in the box more than cover it. They do not include the removal so we covered it here. Rear shocks and bump stops. The rear is super easy. Remove the top nut, remove the lower shock bolt. 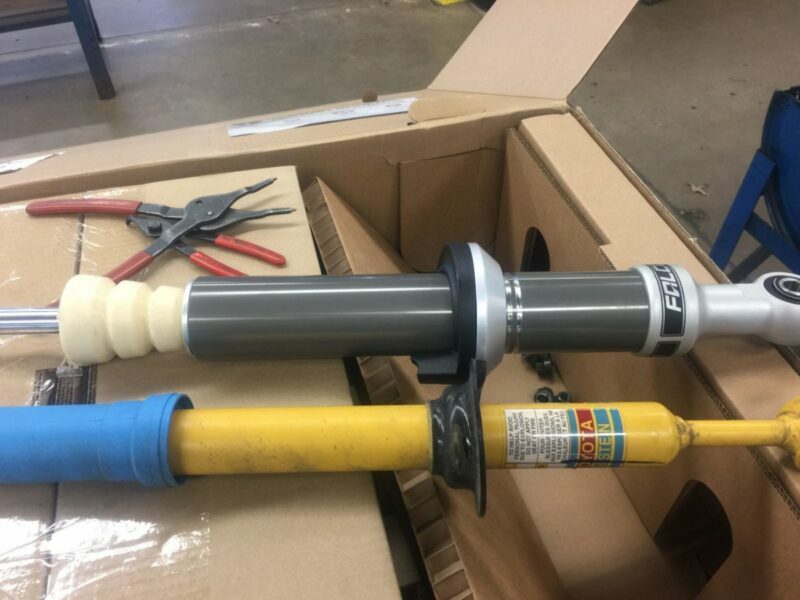 Install the new shock where the old one was. One small detail that’s important. The new shock has a locating tab that is indexed on a machined rectangle in the shock body. This gets located off of the outer edge of the upper shock mount. This makes sure you have enough clearance to the tire, the shock mount, and the leaf springs. The kit also comes with new rear bump stops. You need to loosen the U-Bolts for the leaf springs, slide the OEM bump stop and install the new Falcon Shocks unit. This first press of the bump stop left it a little crooked. It will compress straight with a bit of work. It completely changed the trucks stance, style, and presence. 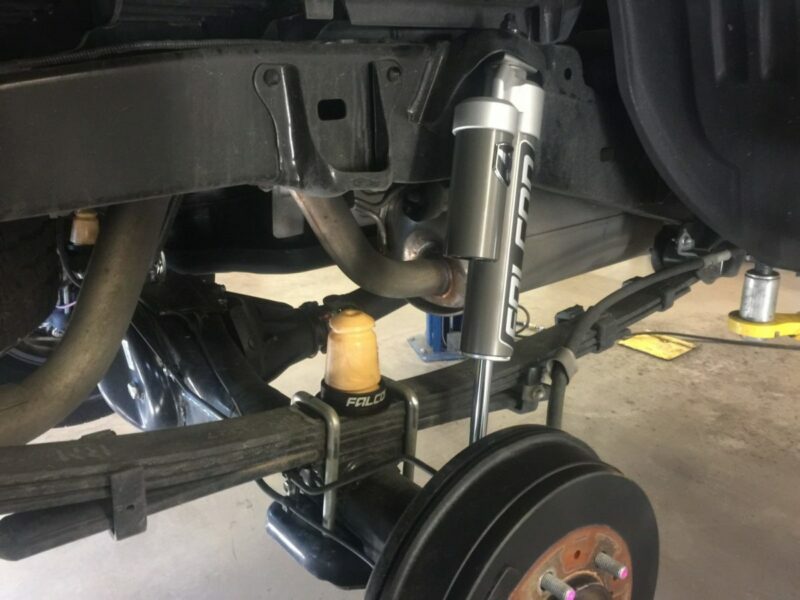 They call it a leveling kit but it gives as much lift as most “lift” lits being sold and with shocks that are far superior to the standard mono-tube and smaller diamter struts.